The Wisconsin Humane Society's educational programs strengthen the bond between people and animals through an understanding of animal behavior and proper care. This includes behavior seminars on everything from grief counseling to cat behavior and more. Our staff offers a wealth of knowledge to adopters, teachers and other school professionals as well as individuals and organizations within the community who have questions about animals. The WHS mission is to create a community that values animals and treats them with respect and kindness. Education is a stepping stone in accomplishing this important mission. 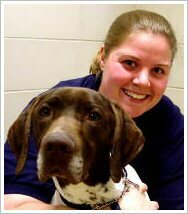 If you're outside the Milwaukee or Ozaukee area, please contact us at behavior@wihumane.org or 414-431-6173 so we can direct you to a qualified professional in your community.